December 15, 2017, 3:37 p.m. While people usually expect to receive all of their presents on Christmas Day itself, one lucky individual receives hundreds of gifts across the festive period each year. In The Twelve Days of Christmas, the narrator&apos;s true love lavishes them with 364 presents over the Yuletide period. 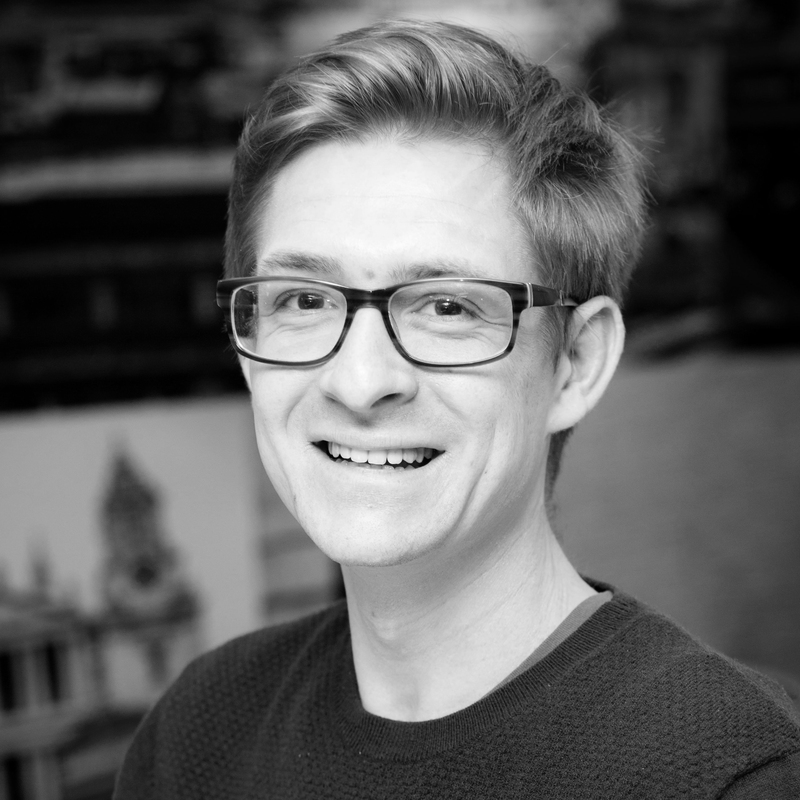 New YouGov research reveals that only around one in seven (15%) Brits know each item for each day. 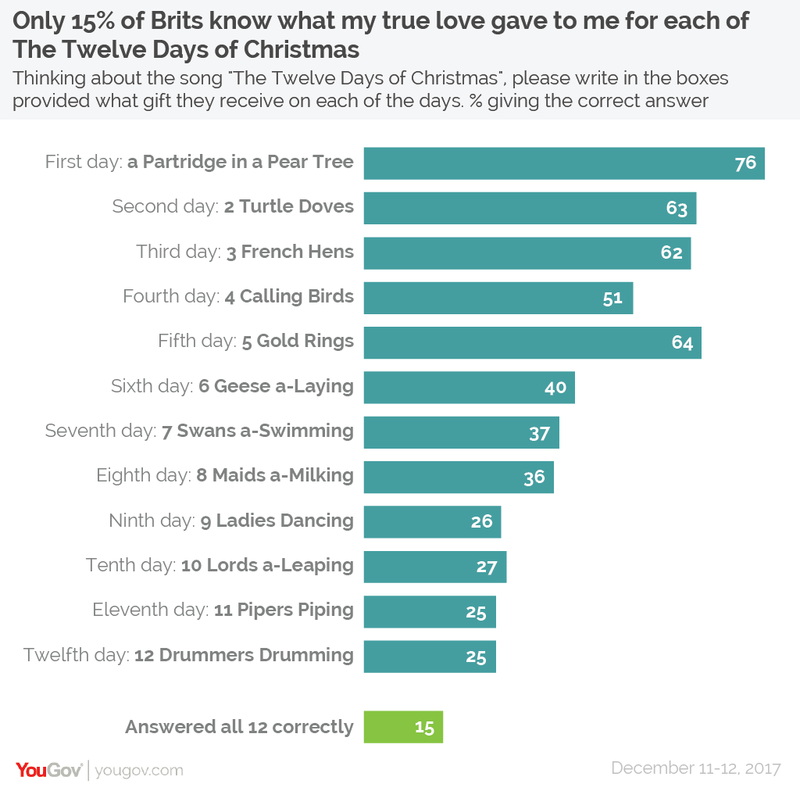 Understandably, they can recount the beginning of the song well enough, with three quarters (76%) correctly remembering that a partridge in a pear tree is the gift received on the first day. After this, the level of correct answers slips to 63% for two turtle doves and 62% for three French Hens, and falls again (to 51%) for the four calling birds. However, when it comes to the five gold rings, knowledge surges to 64%. People&apos;s memories are woolier for the sixth (geese a-laying), seventh (swans a-swimming) and eighth (maids a-milking) days of Christmas, with between 36-40% recalling these gifts. Knowledge bottoms out for the final four days (nine ladies dancing, ten lords a-leaping, 11 pipers piping and 12 drummers drumming) with 25-27% geting these presents right. While only 15% of Brits gave all 12 correct answers, more than four in ten Brits (43%) managed to get at least half the answers right. Overall, women have better knoweldge of the gifts. Around six in ten (59%) got at least six answers correct, compared to just 28% of men. Women are also much more likely to get all 12 answers correct (21%) than men (9%). Older people know their way around the song more than younger people, with the over-50s (48-50%) more likely than the under-50s (40-41%) to get at least half right.